Dog trainer Laura Waddell, CDT, MS, walks you through a step-by-step 8-week program illustrated with pictures of her client doing the weekly exercises with his Labrador. 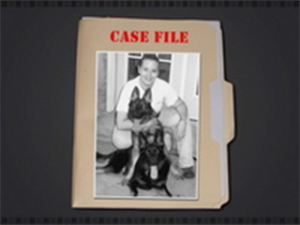 The dog had inflicted severe bites on several family members, but with diligence and working Laura’s protocol, her client fixed the problem. You’ll also learn what obedience commands the dog should know before you start this program, and she give tips on how the owner can stay motivated and not get discouraged during the eight weeks. Laura shares her personal food bowl aggression case in a direct and uncensored way that will help you in your own work! I loved the webinar. I really enjoyed the visual talking points as well as the spoken dialogue. The 30 Minute Solutions Mini-Webinars are my favorite DTC products right now!